WITH OUR ADVANCED PLASTIC AND SILICONE INTEGRATED INJECTION METHOD, THE SEAL'S SOFT HYPOALLERGINIC SILICONE SKIRT IS MOLDED DIRECTLY ONTO THE FRAME. 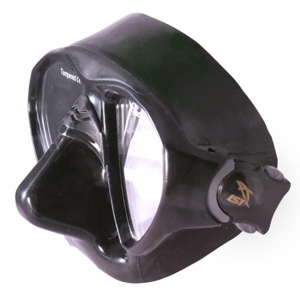 This manufacturing technique means lesser parts are needed, so a lighter and more comfortable mask has been developed. With this new technology, the internal volume of the mask has been significantly reduced and the lenses were brought as close to the eyes as possible for a better vision. 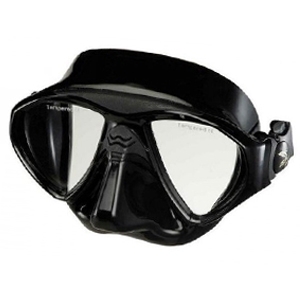 These features not only help the underwater hunter seeking out their preys, it is also comfortable for scuba divers and skin divers alike to experience the view they have never seen underwater.